After saying goodbye to our beloved Japan, we flew from Osaka into the thriving capitol city, Hanoi. 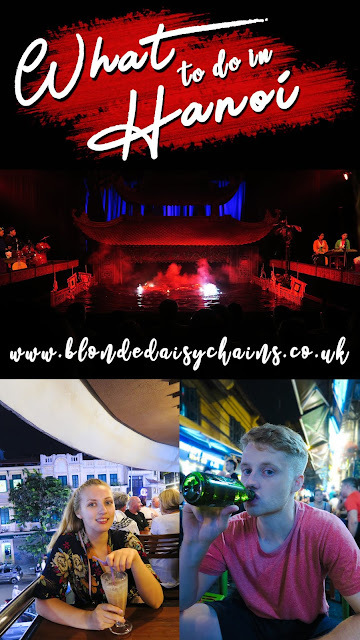 Being our first stop on our month long adventure through Vietnam we were excited but anxious at the same time. I almost had a melt down and wanted to book a flight out of there after 5 minutes, I couldn't cross the road our hear my own thoughts but I'm glad I stuck it out because it only became better and better! 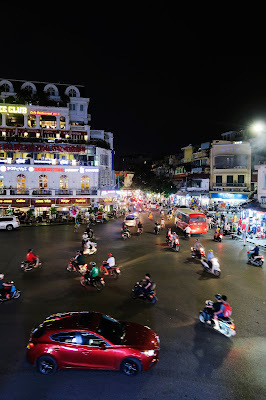 Hanoi is an truely amazing place to experience great culture, tasty food and amazing nightlife. I'll be assuming that you're heading to Vietnam soon and that's what has lead you to this page - and I am eternally grateful you're here! 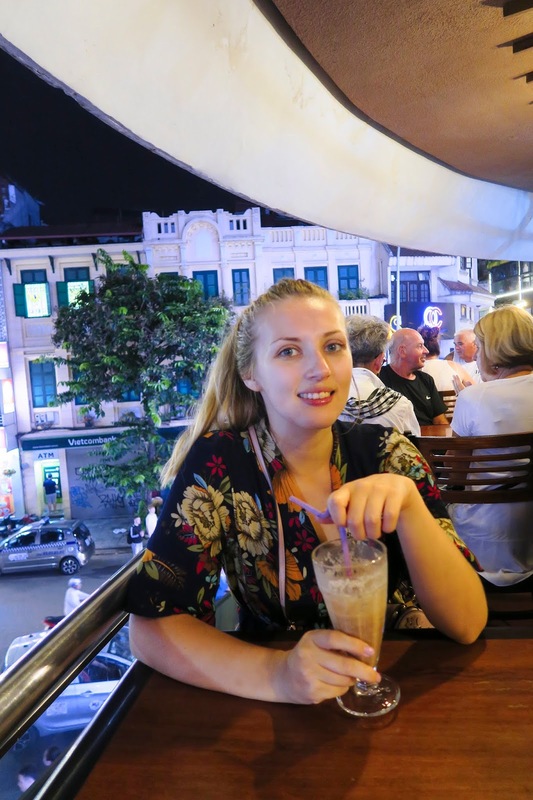 To make your stay in Hanoi a little bit easier I've put together a list of fun things to do in Hanoi suitable for everyone and won't break the bank. This stunning temple complex was only a 1 minute walk away from our Air BNB during our stay in Hanoi. The temple was built to serve as a centre of learning for the Chinese age. 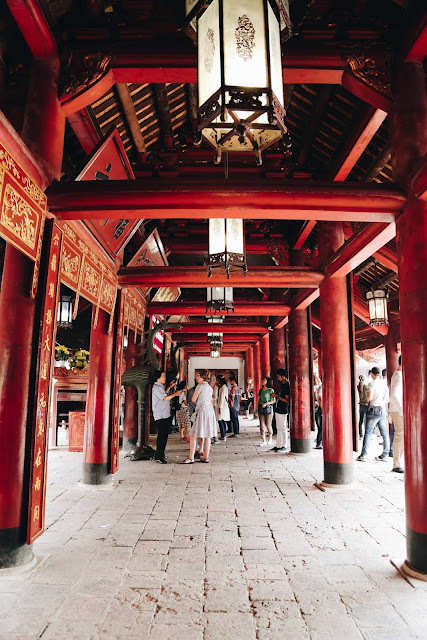 Over the last 1000 years, more structures have been added and it's now home to pavilions, koi carp, shrines and the lushest of greenery. Located around a 20 minute walk away from the old town it's the perfect escape from the chaos of Hanoi. 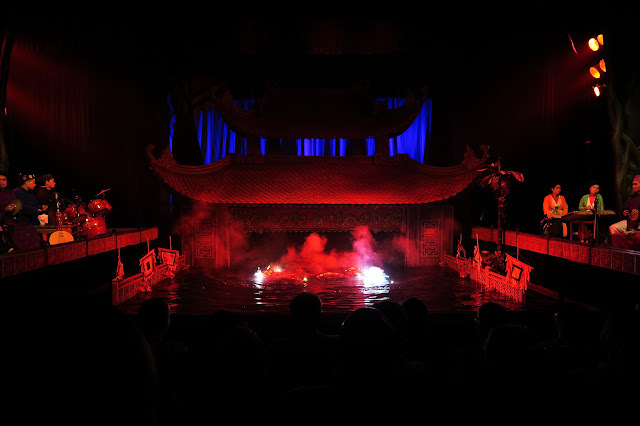 We headed to the Thang Long Puppet Theatre one evening to check out their water puppet show. The show consists of puppets that dance and slide around the liquid stage. The performance is based around the tale of Hoan Kiem Lake and the giant tortoise. It includes live traditional Vietnamese music played by the band, light shows and a bit of humor thrown in too. Although it was all in Vietnamese, you kinda understood what was going on and we really enjoyed it! 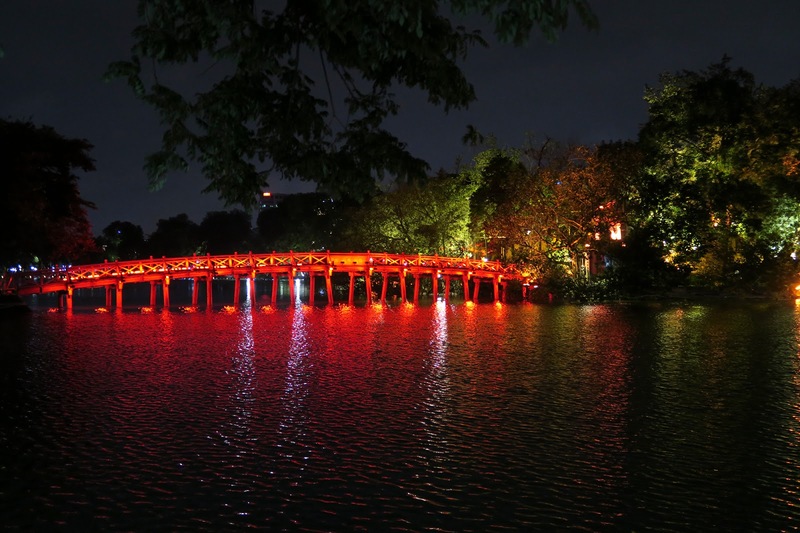 Take a stroll around Hoan Kiem Lake. Now that you've been inspired by the story portrayed in the Puppet Theatre, you too can explore the lake and hunt for the tortoise. Located directly across the street from Thang Long Puppet Theatre . A stroll around the lake would take approximately 30 minutes and is real relaxing compared to the rest of old town. You can also walk over the gorgeous red bridge and head to Jade Island. Which is a small island within the lake and home to an 18th-century Buddist temple. It's great to see at night too as the bridge is lit up with different colours and really stands out! 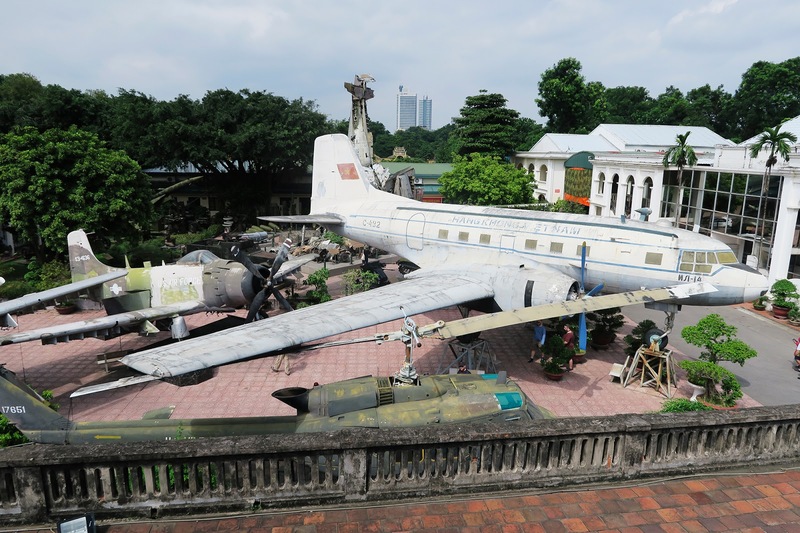 Discover the horrors of the Vietnam war at the Military Museum. Easy to spot in central Hanoi with a giant flag at the top of the flag tower is the Vietnam Military Museum. It offers a perspective into the wars that raged through Vietnam from 1955 to 1975. I ignorantly didn't know much at all about the Vietnam War and I'm still shocked we aren't taught more throughout school. I was a horrendous pieces of history that needs to be remembered and is showcased very well here. Including war relics, photographs, official uniforms, propaganda posters and documents from nations all around the world on the event. It is also home to a number of military places and tanks seized from the USAF. Legend Beer is the perfect place to have a few beers and watch the manic streets below. Located in the Old Quatre but on a 3rd Floor rooftop terrace you are in for a serious treat. Beer is a bit more expensive here but totally worth it. They brew their own beer, the service is great and you get an amazing view. A must visit for anybody who loves a beer! Bia Hoi Juncition is widely-regarded the drinking heaven of South East Asia. You park up on your little plastic chair in the middle of a street junction in the Old Quater. There will be literally hundreds of people sat with a pint of Bia Hoi in the hand, and who can blame them when it only costs 16p! 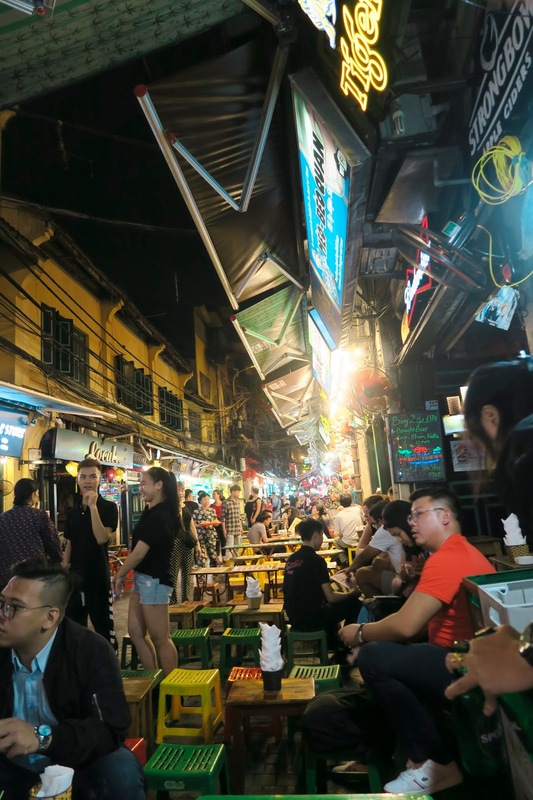 It's a great place to party into the night and meet other backpackers. They also serve street food to your little tables if your a bit peckish. 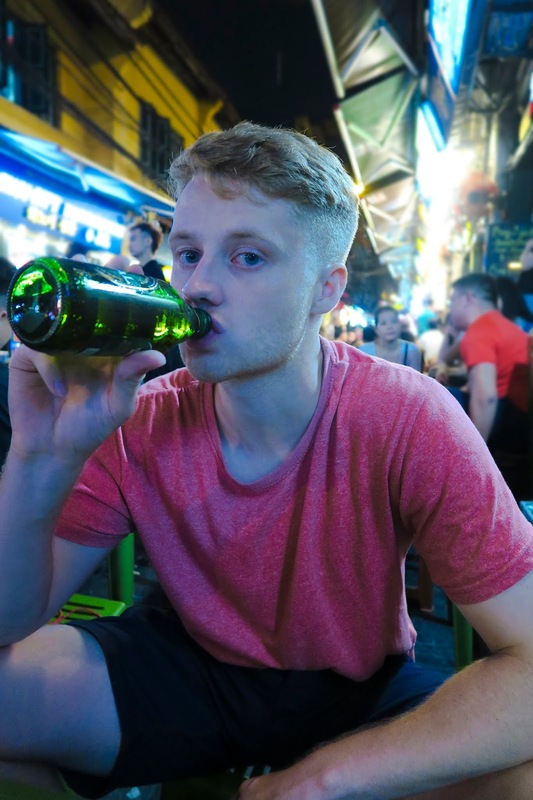 If Bia Hoi isn't your jam don't worry, they have a few other drinks like Tiger, Heineken and soft drinks too - but they'll cost you around £1 instead.